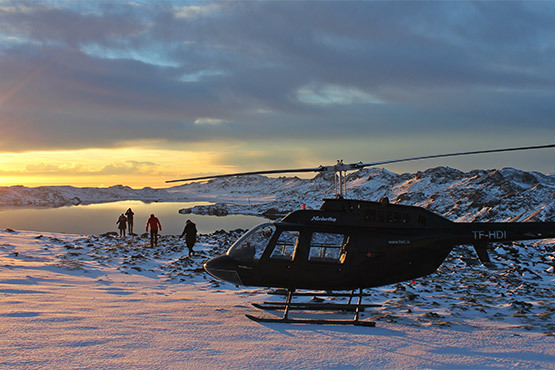 Experience the perfect blend of five-star nature and luxury on a unique adventure in Iceland or Greenland with Nine Worlds. As the luxury division of Iceland Travel, Iceland’s leading destination specialist since 1937, we exclusively offer tailor-made itineraries built on years of knowledge and experience, with services ranging across land, sea and air. Our staff of seven pride themselves on fulfilling challenging requests and exceeding guests’ expectations, working with the best hotels, carefully chosen private villas and lodges and other handpicked suppliers to create an unforgettable tour. Travel by car, super truck, yacht or helicopter to discover luxury far away from civilization—the only limitation is the imagination.